Target Retro Style Hurst Olds Naked and Swapped! 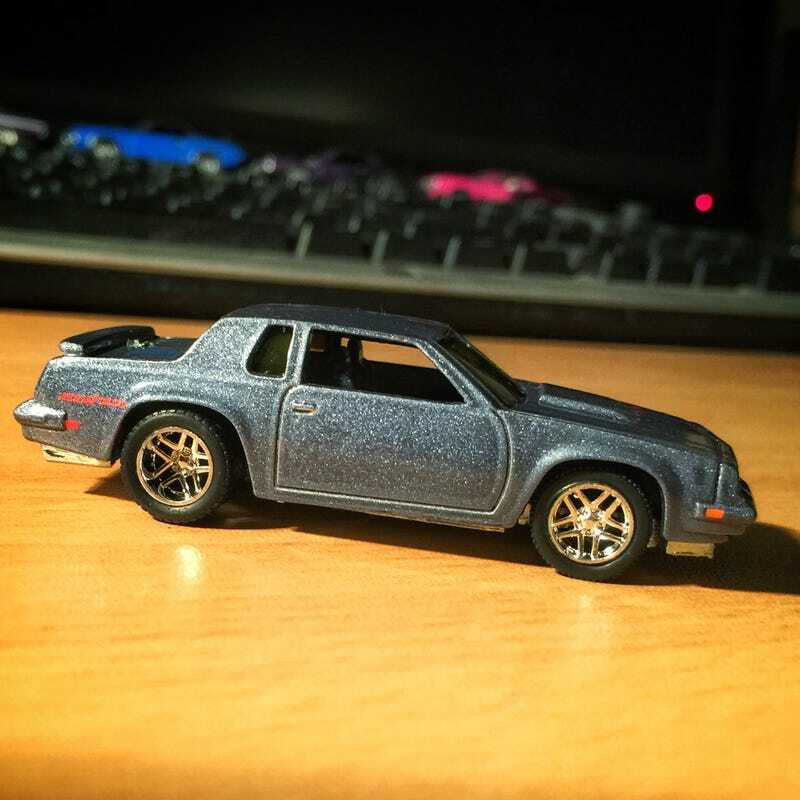 After a weekend getaway, I brought out the dremel to try a wheel swap on the Retro Style Hurst Olds. My original choice for the swap looked ok, but the rears were bigger than I liked...so I took Mattylightning’s advice and tried a set from M2....think they work ok! Base did need some modifying, and of course the metal base this car came with is harder to work with than the plastic ones...and there was a mishap or two...but overall pleased with the result, for now. I do want to lower it a bit more, especially in front.